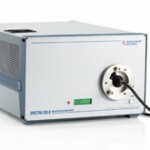 Spectroradiometry; Measurement of the solar spectrum, solar simulator or an energy-saving lamp: precise array and scanning spectroradiometers determine illuminance and radiant power over a wide spectral range from UV to IR. 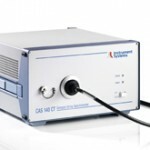 The CAS 140CT Array Spectrometer is ideal for taking measurements at flash lamps and solar simulators. Different models cover the spectral range from 200 to 2150 nm. 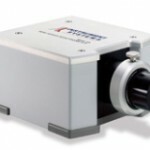 The Spectro 320 scanning spectrometer is supplied as a single or double monochromator and is ideal for applications that require a large dynamic range and very low stray light (e.g. UV-B measurements). This spectrometer also allows a broad spectral range from 190 to 5000 nm to be analyzed in a single scan.